Stunning 1.5 STORY Highland home in the highly sought after Fairway Ranch Add & award-winning Northwest ISD! 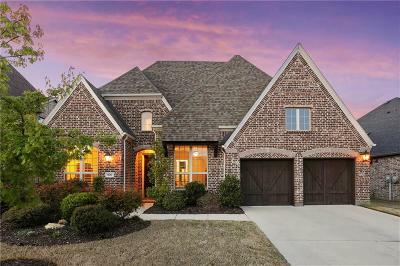 This light & bright open floor plan home has soaring ceilings, oversized 9ft solid core doors, extensive real hardwood flooring, plantation shutters & all walk-in closets.4 bed + regal study & 3 ba downstairs--only half bath & Media Room upstairs equipped for projector, screen & surround sound. Chef's delight kitchen w- granite counters, SS appliances & large center island overlooks spacious family rm with floor to ceiling stone FP. DREAM GARAGE 3 car tandem, epoxy flooring & built-in cabinetry! Large covered patio! Walk to elementary! Nearby Shops, Food & Entertainment of Downtown Roanoke & Splash Park!